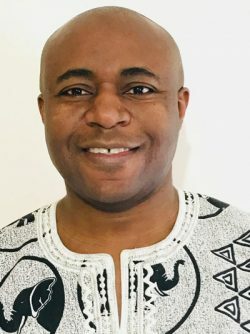 “We first met Charles Balenga at my parents’ dining room table, Christmas 1996. Charles was new to Canada, a quiet, humble, very perceptive, and intelligent young man, whose confidence came from knowing his God. 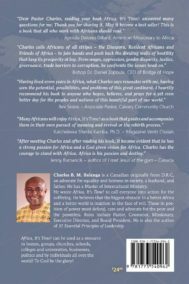 My father, a former medical missionary in Zaire (DRC), ‘adopted’ Charles with the same love that he had faithfully served his adopted country. After Christmas, my father and husband moved Charles to Regina, where he studied and finished his Masters. His phone calls and visits were always welcome to my folks. 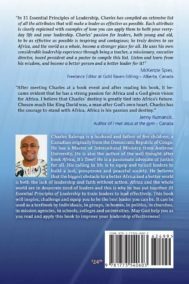 “My father and Charles would discuss complex issues facing many African nations, as well as life’s problems, at length. Later, Charles would speak at my father’s funeral. Charles asks hard questions of others which he has asked himself, questions which do not have easy answers. The gospel of Jesus Christ that he preaches is a call to action. 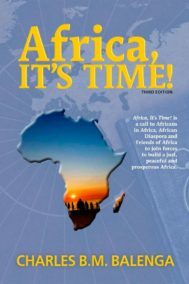 “His book Africa, It’s Time! explores African traditional values as well as its leadership roles, which have been threatened by modernization and war. 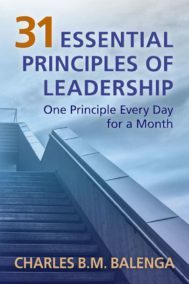 He examines leadership models and proposes new values, which will truly serve the nation’s people. His frank discussion of poverty and its culture, manipulation by the rich to maintain poverty, the emergent extreme rich, as well as the exploitation of women and children, can be uncomfortable. These are hard truths that challenge Western practise of giving to the poor, which can actually perpetuate poverty.